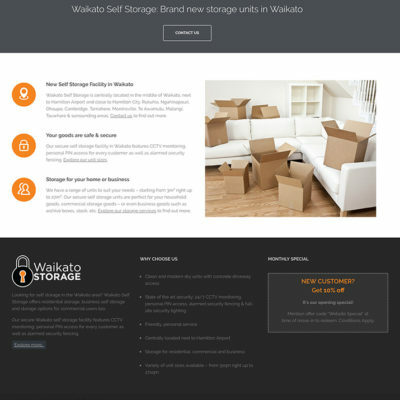 We’ve been working with self storage facilities for over 10 years – developing websites, running marketing campaigns, setting up Facebook pages (and ads!) 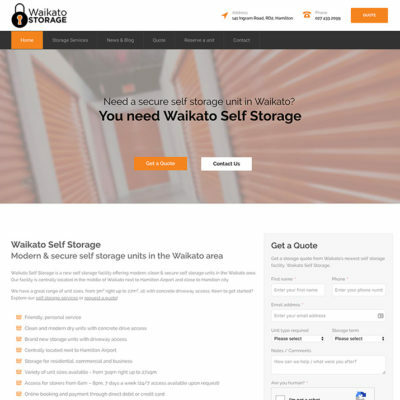 for self storage facilities of all sizes, in both Australia and New Zealand. 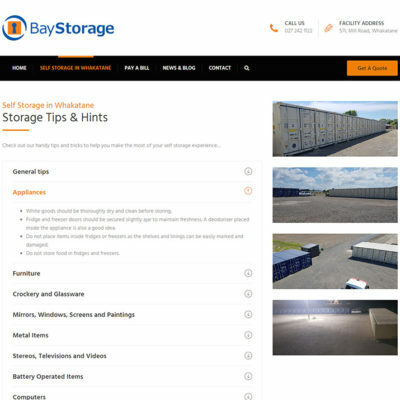 Whether you’re just starting out, or looking to refresh your business, we know storage – and we can help you convey your messages to new audiences in your catchment area. 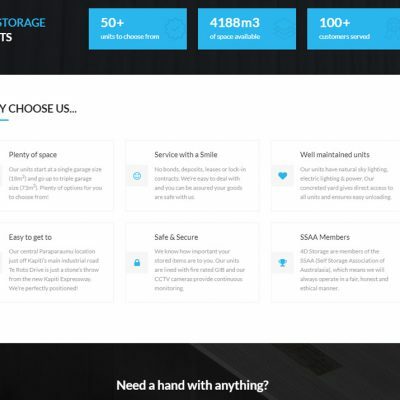 Do you use Storman as your self storage management software? 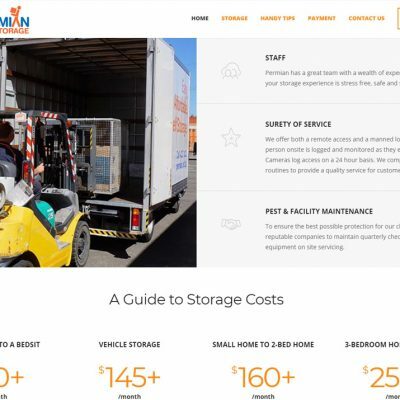 We can develop a powerful, lead-generating website that integrates with Storman’s amazing suite of online tools – including Storman Online Payments, Storman Online Reservations and Storman Online Move-Ins. 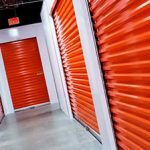 Let storers commit to your self storage facility online, anytime – while the buying intent is high. 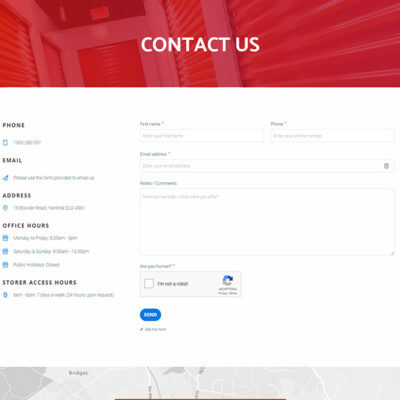 Talk to us about integrating Storman today. 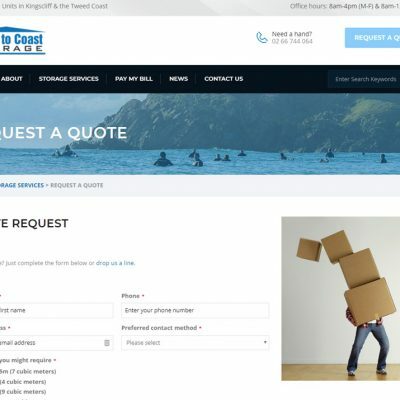 Thank you so much for the great work & time you spent on our website for Coast to Coast Storage. I appreciated the communication between us & the changes you were able to do quickly. 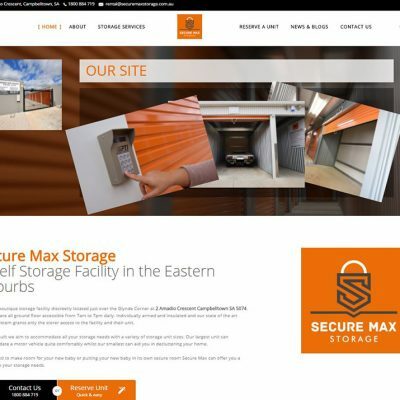 It was reassuring knowing that our website was in the hands of a professional who had experience in the self storage industry. 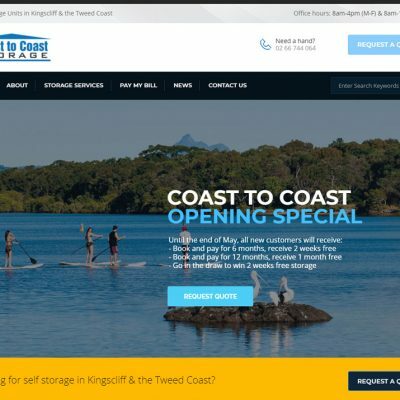 Thank you so much for the great work and time you spent on our website for Coast to Coast Storage. I appreciated the communication between us and the changes you were able to do quickly when asked. 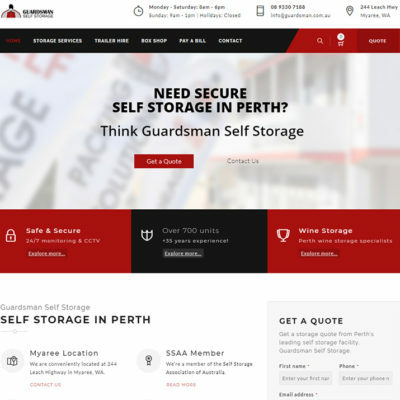 It was reassuring knowing that our website was in the hands of a professional who had experience in websites for other self storage facilities and also worked closely with the Storman team. 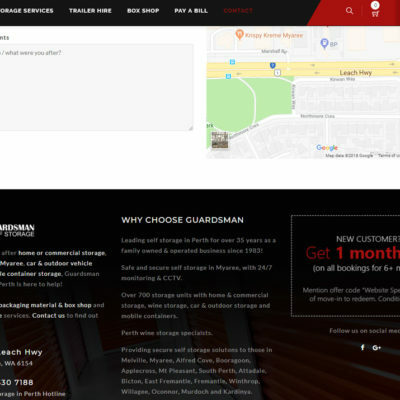 Thanks Big Budda Boom for a great friendly professional service to provide us with our new website which we are extremely happy with. 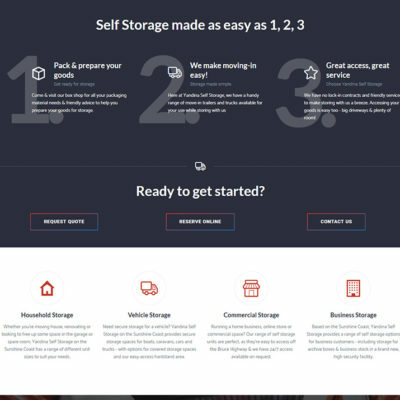 Would highly recommend to anyone looking for a new website. 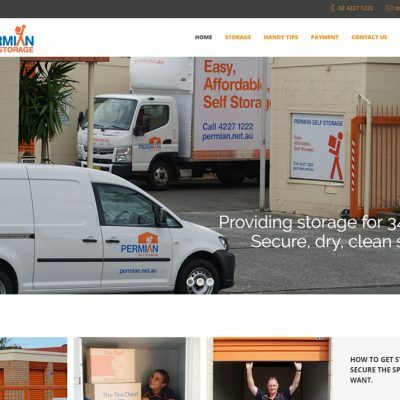 We employed Big Boom Pty Ltd to build and host a web page for our company. 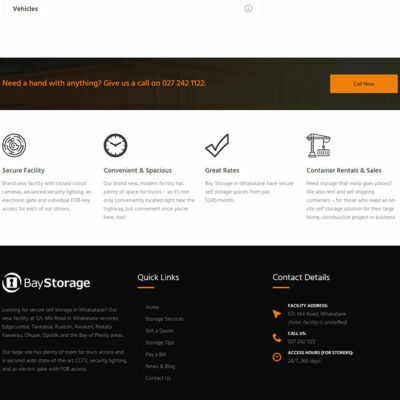 The team were easy to deal with, acted very fast on our requests. 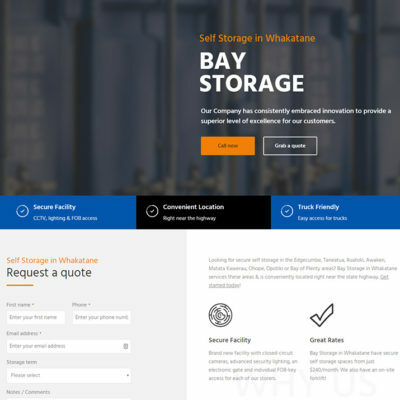 We felt very much at ease with the whole process, we where concerned that dealing with a company in Australia, when we are in New Zealand may be a problem, but not once was that an issue. 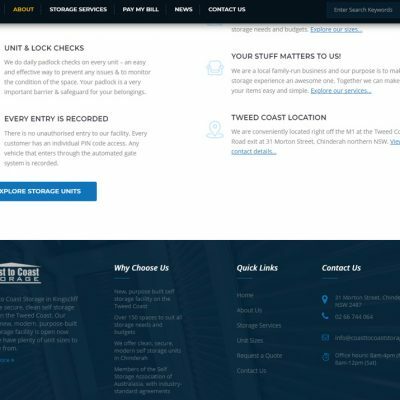 Payments have been easy to make though PayPal and all of or conversations with Big Boom have been able to be carried out by e mail. 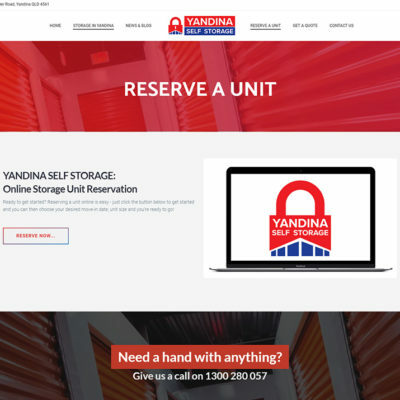 We wish to thank Andy & the team for the excellent job done, and we look forward to working with him and his company while they host our web page. 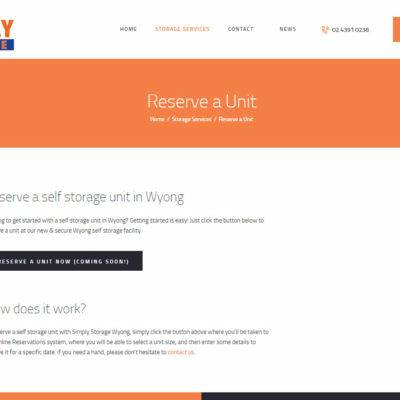 Andy was very helpful, efficient and prompt in designing and installing our new website. Any changes I asked for were implemented quickly and efficiently. 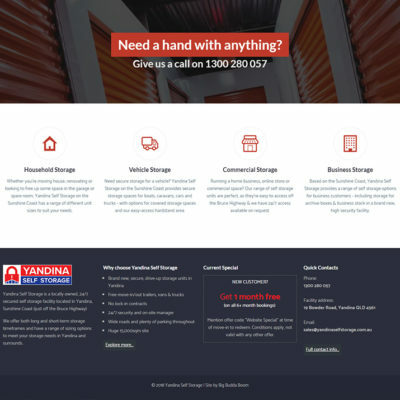 Very happy with the result and I’d recommend Big Budda Boom for web design and implementation without hesitation. Thanks Andy! 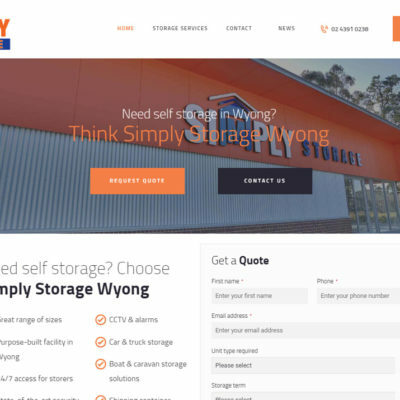 Andy from Big Budda Boom built our first web site 6 years ago and has managed and maintained it since . 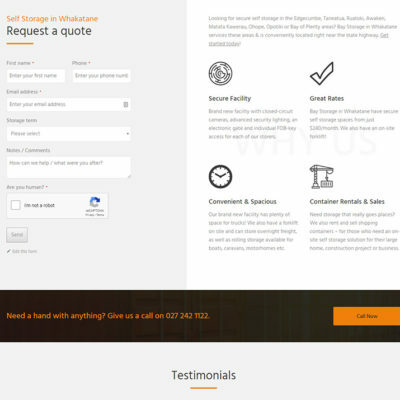 Andy was a natural choice when we decided to update and build a more modern and interactive web site late 2016 We would not hesitate in recommending Andy for the brilliant job he did, his communication and understanding of our needs was second to none. 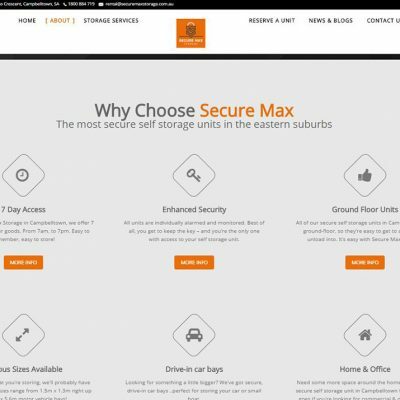 Our company has used Big Budda Boom for a number of jobs ranging from logo and domain hosting and marketing optimisation for our SEO and Google Adwords for over 8 years now and find the staff polite and easy to deal with. Andy the owner has always acted in a professional and highly ethical way, sometimes even pointing out to us where we can save money on his fees! Great company run by great people. Totally recommend them without reservation and have done so to many businesses over the years. 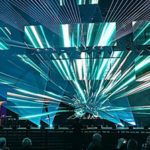 Good work Andy and team… keep it up! 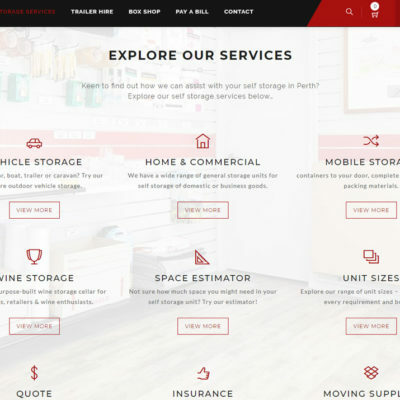 Seen our Self Storage Space Estimator? 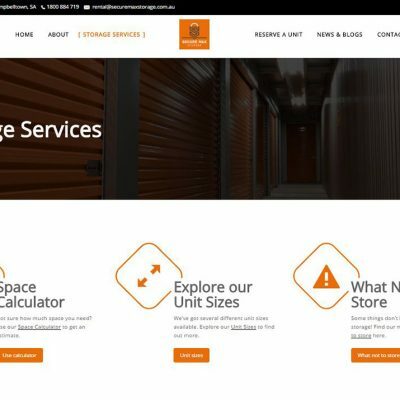 We’ve built an enhanced ‘self storage space estimator’ that helps you turn browsers into buyers, by letting storers enquire about a specific unit size, or even reserve or book one, directly from the calculator! 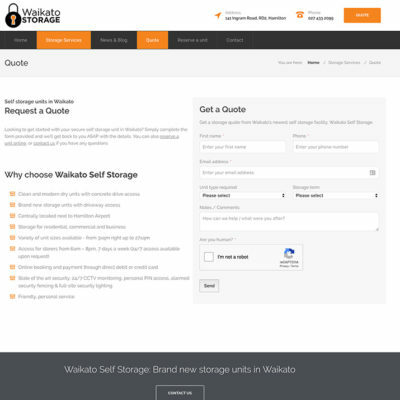 Our self storage websites rank very high in Google and are designed to help your potential customers choose you. 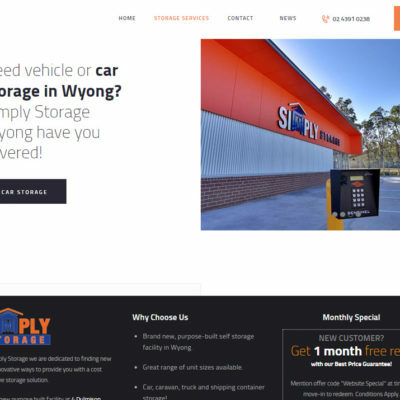 We can integrate with Storman & the SSAA to give your storers the power to pay online, reserve online & estimate space requirements. Take the time & hassle out of creating & managing a Facebook brand page. 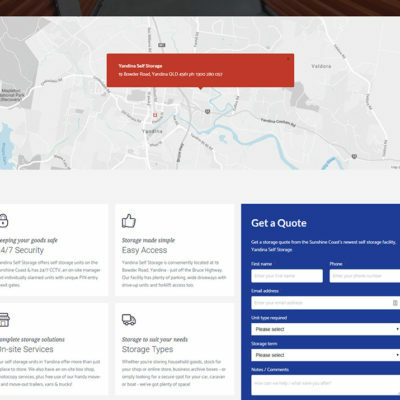 Our social media experts can setup & manage social network pages for you – including content creation & publishing and targeted advertising to your potential customer base. 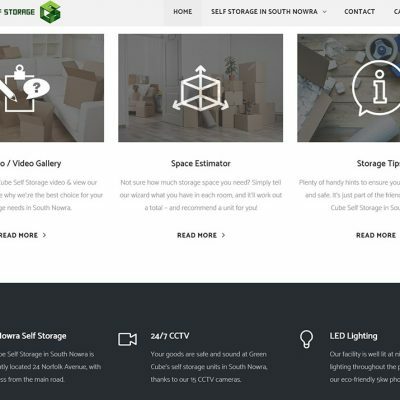 We create short, sharable advertisements that you can use online and on social media to help sell your self storage services to new clients and get them talking about your business. We’ll even setup social media advertising campaigns for you. Google rewards sites that update content regularly. While you can easily get in & write a blog, not everyone has time. 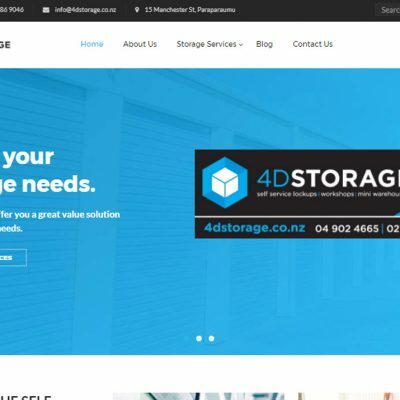 We have a network of content writers that work in storage & can write + post content for you on your site, across your social networks & in a regular eNews for your storers. 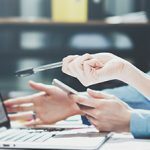 Our team are highly experienced in setting up Google AdWords (we’re a Google Certified partner) as well as Facebook and LinkedIn advertising campaigns. Facebook in particular is an excellent platform – as you can target new customers by region & interest. CRO (Conversion Rate Optimisation) is the process of increasing the percentage of visitors to a website that convert into customers. 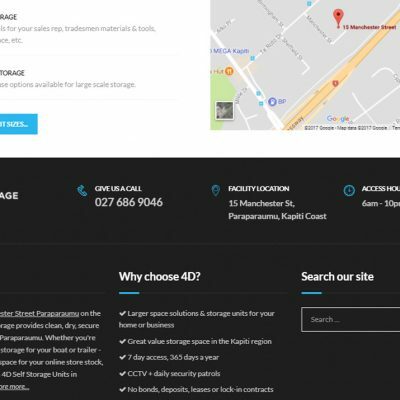 Through tailored ads on social media & specialised pages on your website, we’ll ensure you get the best bang for your buck when it comes to online ad spend. 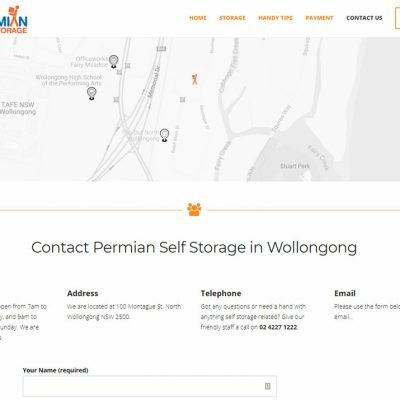 We use Google best-practices to ensure your website can be found by storers who are searching for you. 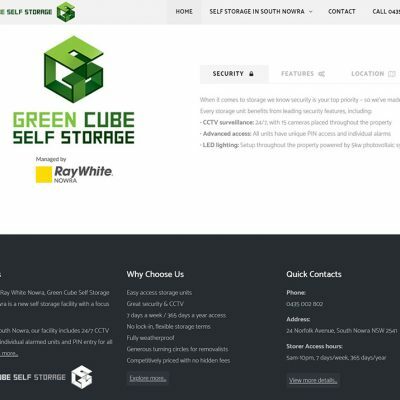 All of our self storage websites rank very high in Google (usually in the first organic search-results position). In fact, we’re a certified Google Partner for Search advertising & Mobile advertising. 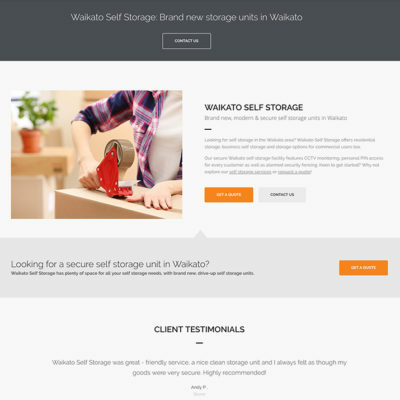 Need a beautiful email template for your self storage sales enquiry ’email replies’? 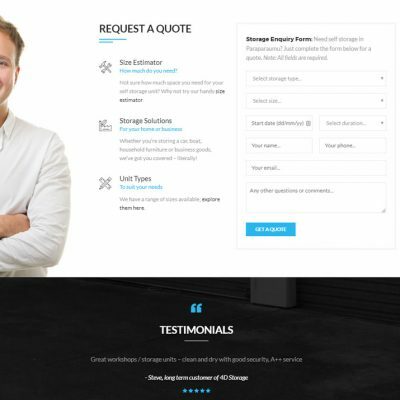 What about a Storman email template for your invoices or late notices? 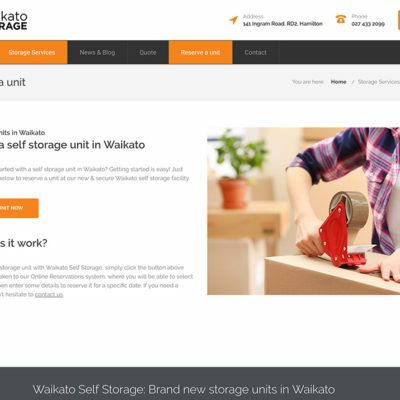 We can also create document templates, self storage agreements and more. 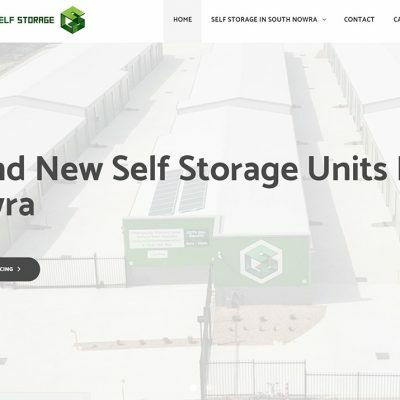 A storage space calculator with a difference!